We offer aluminium radiators with special anti-clogging un-louvered fins to minimize debris clogging the system, ensuring a reliable and maintenance free product in the field. 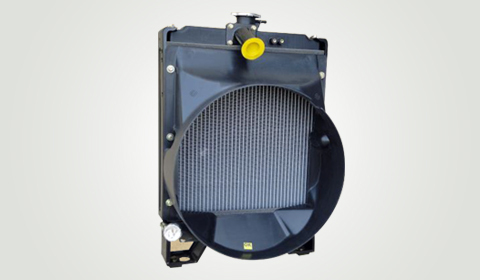 Both plastic or metal cowls are available depending on the application – farm or forestry. We have developed radiators for engines ranging from 15 HP to 240 BHP (4-row tube, cores – 122 mm thick) traditional copper/brass radiators are also available for forestry and extra high power farm equipment.